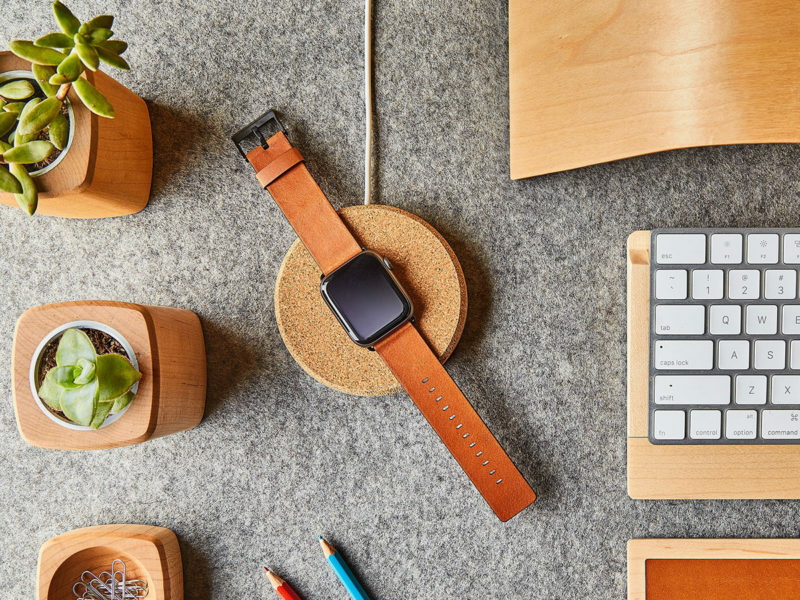 This natural cork charging dock is a minimalist and scratch-free resting place for your Apple Watch. A maker of elegantly simple high-end computer and desktop accessories in Portland, Oregon, Grovemade has supported a dual focus on sleek aesthetics and optimum functionality. 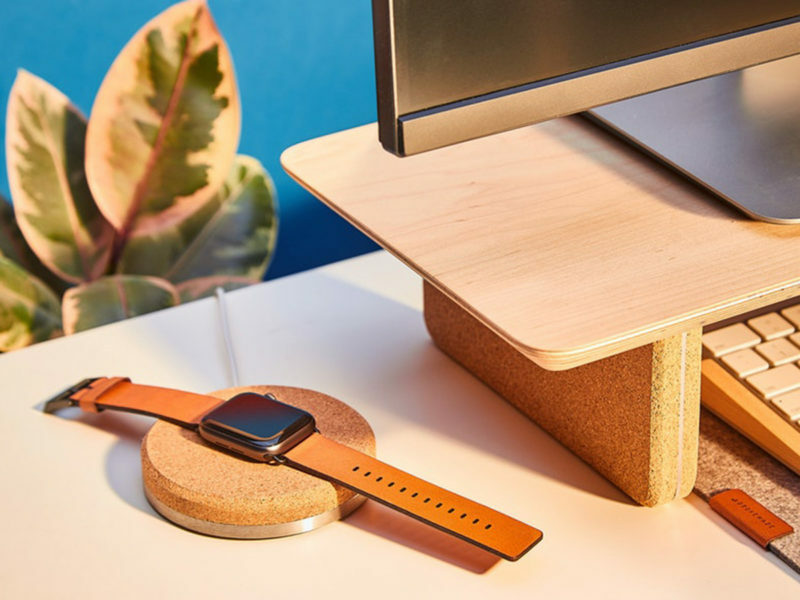 In the wake of the very first Apple Watch release, Grovemade embarked on the ambitious task of creating the best Apple Watch charging stand. And here we are, with the fourth Apple Watch. Grovemade’s charging stands have also evolved, through many a trial and error. 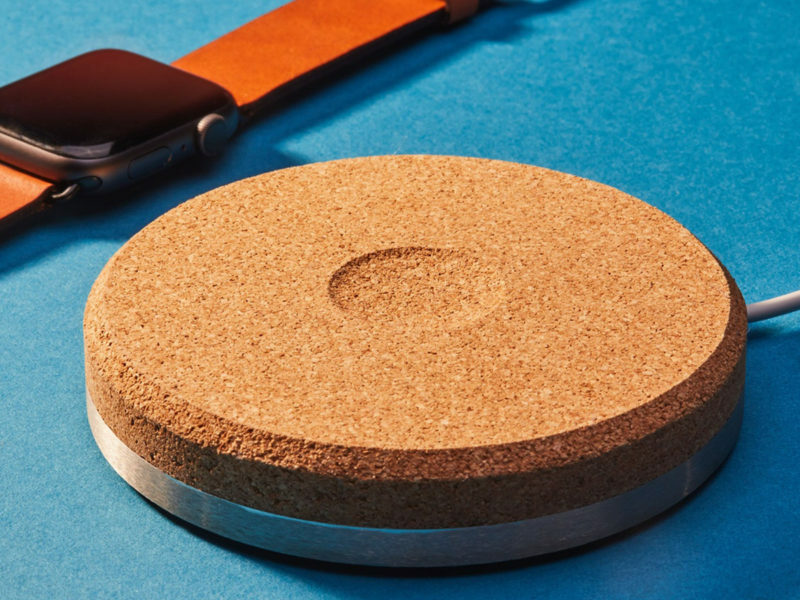 Wading through prototypes that were either too techy or plasticky, it finally ditched plastic altogether in favor of beautiful natural cork and brushed stainless steel. 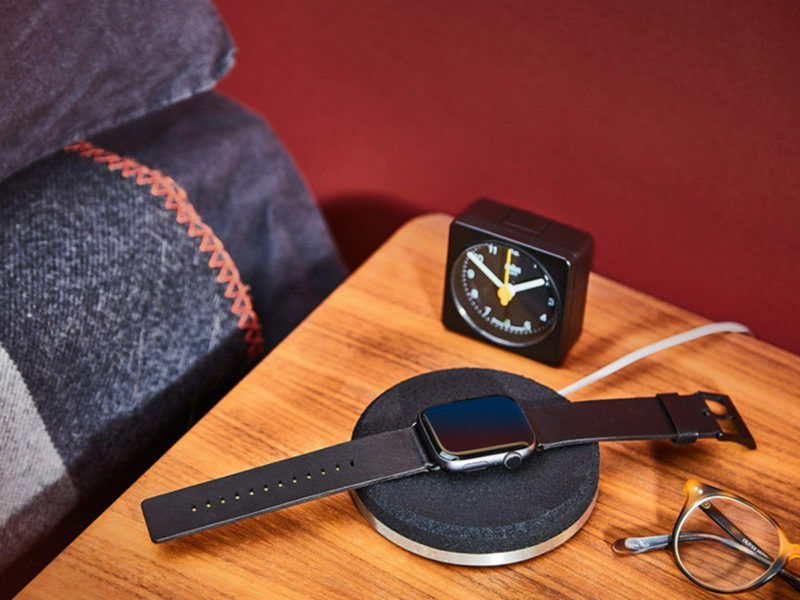 While the quarter-inch stainless steel base gives this dock the heft that it needs to stay firmly put, the cork charging surface (available in both light and dark hues) serves as the ideal textured and scratch-free resting place for your Apple Watch.